This article was written by Jamie Chipperfield Clubb. Jamie has studied Taekwondo, Kick-Boxing, Wushu, Shaolin Kung Fu, Escrima, Jujutsu and Muay Thai. He also regularly cross-trains in as many styles as possible including Karate, Wing-Chun and Kali. Jamie is also currently training in Brazilian Jiu Jitsu under the present world champion Braulio Estima, and he holds instructor qualifications in Sakiado, American Kickboxing and Muay Thai. Jamie teaches under the banner of Clubb Chimera Martial Arts - Based in Kenilworth, Warwickshire, UK - which covers practical modern self-defence before going onto exploring the various martial arts systems. 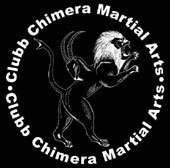 If you'd like to learn more about Chimera Martial Arts, you can contact Jamie on 07973681732. This article is all about Kiai, which is a much misunderstood aspect of the martial arts. Jamie is a very talented writer who has a great talent for taking the seemingly complex and presenting it in a way which is very easy to digest. I'm sure you'll all enjoy this great article. "Kiai is often thought of as merely being a shout, but this is not correct. Kiai is the convergence of all your energies at a single instant that ensures your goal is attained." - Iain Abernethy "Bunkai-Jutsu"
Perhaps one of the most neglected natural martial arts weapon is the voice. It appears to be little more than a ritual in most dojos, dojangs, kwoons or gyms of today. The power shout or "Kiai" in Japanese, "Kyup" in Korean and Qi He in Chinese is usually delivered at a relevant part in a traditional drill or to announce the scoring of a point in competition. It has been literally translated into English to mean "Spirit Meeting", "Energy Attuning" or relating to a physical expression of Chi or Ki energy. In today's practice of martial arts we see this area of study regulated to a rather redundant position. At best kiai is used to add vigour to a students form. At worst it is an unconvincing shriek or grunt. When we consider the scope of human expression I believe that the essence of kiai is far more than just a war cry. A modern time requires a more contemporary translation of this very important section martial art training. From my own experiences and from those who I written and demonstrated effective kiai, I see the practice being defined as "voice with intent." The power of the human voice is an effective tool that can do a multitude of tasks from releasing inhibition to controlling a wild animal. Before we look into the various martial applications of the voice let's compare what certain specialists in kiai have to say about it. The first example that leaps to my mind is the world's most famous historical samurai, Myomoto Musashi. He wrote in his "The Book of Five Rings" that there were three kiais: the pre-emptive shout, the in-fight shout and the victory shout. The first scared the opponent or threw him off his guard by causing a sudden rush of adrenaline in his body. This also served as a good way for the shouter to expel any of his own fears or inhibitions as he went in for the kill. The second shout reinforced the physical attacks by giving them a psychological sting. The last, and most debated, shout served as a warning to others. The modern maestro of self-defence, Geoff Thompson applied this strategy to modern street warfare. This wasn't always the traditional single syllable shout. Rather his pre-fight kiai was designed to line his opponent up. It came in the form of either aggressive dialogue that would frighten his adversary into a "flight" response or deceptive dialogue - usually a question - that would engage the adversary's brain for a split second so that Geoff could get his pre-emptive strike in. The in-fight kiai came in the form of aggressive dialogue used for the same reason as Musashi's war cries were intended. The post-fight or victory kiai was, in most cases, Geoff's propaganda to anyone else who fancied attacking him or getting revenge on the fallen man's behalf. He would shout taunts and challenges to those gathered around in a similar manner as a king's champion in bygone days would do after a coronation. Many people interpret Musashi's last kiai as a shout for joy. The text is quite vague over its purpose. No doubt shouting did provide some therapeutic release after winning a fight to the death. Nevertheless I see this as a by-product for the real reason behind the victory shout, which seems more logical to be in line with the manner Geoff used. Using Geoff Thompson for another example of practical kiai application in its rawest form, I refer to an incident he mentions in his books and videos of "Three Second Fighter" and "The Art of Fighting without Fighting." He tells the story of a man who deterred three would-be attackers by assuming a low Karate stance and using a loud kiai shout. In Geoff's words, "the guy couldn't fight sleep, but he had a good kiai." Likewise Dr. Masaaki Hatsumi, the 34th Grandmaster of Togakure ryu Ninjutsu, recounts a very similar tale in his book "Ninjutsu: History and Tradition." Ninjutsu cultivates the art of a spirited shout into a system they call Kiaijutsu. They depict four types of kiai "The Attacking Shout", "The Reacting Shout", "The Victory Sound" and "The Shadow Shout." All are designed to distract, dissuade or overwhelm the opponent's mind by sheer force of intention. The story Hatsumi tells gives an example of "The Shadow Shout." Hatsumi's sensei told of a huge martial artist from a rival school, Sekiguchi ryu, entering the Togakure ryu dojo and challenging anyone in the school to a match. A small junior student jumped in to accept the challenge. He was older than even the dojo sensei, but had a much lower rank. The invading student prepared to start his bout when, without any formality, the little junior student "leaped onto the hardwood floor with a roaring shout and a thunderous stamping of feet. Though an older man, the student's wide shoulders, scar-crossed face, and neck with its bulging veins gave him a fierce look." The Sekiguchi ryu student stumbled backwards and immediately bowed in submission out of sheer fear. In his "Bunkai-Jutsu" book, renowned applier of practical Karate, Iain Abernethy, gave another example of the famous sensei, Matsumura, who also used kiai to defeat an opponent. My traditional Jujutsu sensei used to apply kiai as an alternative to a strike when you was try to get someone's balance or apply a lock. We even practiced using the shout in a drill where a student rushed us. The sudden noise can set of a responsive signal in your opponent's brain giving you that split second window to act. In a self-defence scenario there is also the added the advantage of attracting further attention. Therefore a kiai can be turned from a defence weapon into an SOS signal. A child struggling from his abductor can alert other adults to his plight by shouting "you're not my father!" Returning the use of kiai as a stalling or reflective weapon, I turned my attention to less obvious martial arts connections. Most animal trainers use the power of noise and, in most cases, their own voice to manipulate the actions of animals. My mother is an animal trainer and comes from a long line of animal trainers stretching back over three hundred years. My father became a world renowned trainer of exotic and dangerous wild animals. They have both told me time and again that the voice is by far the most important tool in training animals. It is even more important than food rewards. Attaching kindly words to food rewards is a method of training known as positive reinforcement that makes an animal feel good about performing certain behaviours on command. A powerful assertive voice can be used to reprimand an animal or as a defensive weapon if the animal should attack the trainer or another animal. Such comparisons can be applied to teaching children; words of encouragement are used by teachers when effort and improvement are displayed and more assertive tones are used if a child is unruly, disruptive or aggressive. My father takes such methods to extremes. He uses what Geoff Thompson would call a negative fence, when he moves backwards to get a lion to perform a fake attack or "roust." All the way he calls the lion in a commanding tone drawing the animal forward roaring and lashing out with its claws until he stops, always maintaining a distance between him and animal, uses another tone make the animal rear up and then with a relaxed tone, "aaaalright! ", he sends the lion back to his place. In martial arts the negative fence is used to create a vacuum, where an experienced fighter will draw back in order make his opponent come forward and walk into a strike. Kiai comes in the form of submissive or taunting dialogue. When we see how animals use their own form of kiai to communicate and as part and parcel of their fighting methods, it is not surprising that sound is such an important tool in animal training. Tibetian Spaniels were especially used in the Buddhist monasteries for their willingness to bark at any person who came near. These tiny dogs could do little harm to anyone, but their high-pitched barking was enough to alert the pacifist monks to the presence of potential intruders. Of course, some people go a stage further and have small dogs with very deep-throated barks. They seem to be Geoff Thompson and Hatsumi's shadow-shouters of the animal world. In the western world the sound of a deep throated aggressive bark reinforced by the actual image of a slavering Alsatian or Doberman is an example of a human using an animal "fence." By observing the animal kingdom we can learn a lot about how humans operate on a base level. We can learn how to feel another person's intentions through the sounds that they make. Understanding voice patterns, so often described in Geoff Thompson's self-protection videos and books, helps us gauge a person's intent. For example single syllable words, like a dog's low growl, signals that an attack is imminent. This is one way of understanding why some martial artists refer to kiai as "Energy Attuning." Many animals use sound before their physical strike, be it a hiss, a growl or a snort. They will often use a particular sound to dissuade an opponent from fighting with them. Sometimes it is aggressive, other times submissive. Once they are fighting, they will reinforce their attacks with further noises. When their opponent is submitted in some way, they will use further noises to dissuade any future attempts at fighting. The comparisons with Musashi, Geoff Thompson and Hatsumi's human kiais are obvious. Kiai is a very natural tool inherent in us all. You have only look at the rituals of primitive tribes of the world to see how the making of noise is used to signify aggressive intent and strike fear into the opponent. On a domestic level I see it in a somewhat diluted form when we struggle to open the lid of a jam jar. This brings us to the line that distinguished what isn't kiai. As natural and in tune with our instincts as kiai should be I don't believe it is ever involuntary. Therefore a sudden cry of shock or pain is not kiai. I don't believe kiai is ever half-hearted either. Iain Abernethy writes that kiai should be projected through "your voice, actions, thoughts, feelings and eyes." Have a look at a genuine Maori war dance and you will see a good physical example of pre-fight kiai being expressed with full intent. Understanding kiai can help us manipulate so many situations. As a training aide you can banish inhibition when you go for those final few reps on a weight or to add power to your technique. The noise shouts down your negative feelings and asserts your control over your body. Whichever way you look at it, the sounds of the mouth are a form of communication either to yourself or to others. As martial artists I believe we should all cultivate our own form of Kiaijutsu. So, rather than allowing kiai to become a relic of your art, a dew claw or appendix of the martial anatomy, that only appears when you want to impress the grading panel or a tournament judge, let's apply it to win all our battles, both external and internal. And remember the beauty with kiai is that you can win a battle before anyone has landed a blow. It really is the often praised art of fighting without fighting.